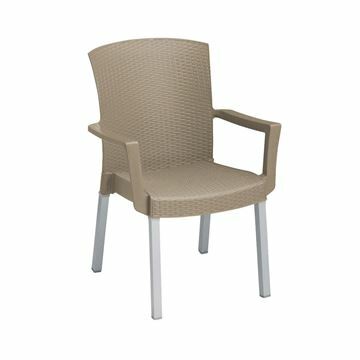 The Havana Simulated Wicker Resin Bar Height Chair has the performance of all-weather wicker without all the maintenance. The texture will not harbor dirt, sand, food, bacteria nor fungi. 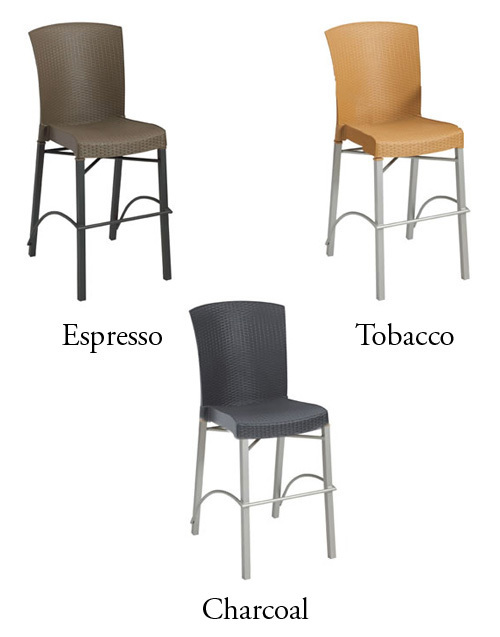 Has a 1 1/4 inch square powder coated aluminum base with hard wearing footpads for structural integrity. Seat and footrest tested to 400 lbs. Static load and 150 lbs. impact test.